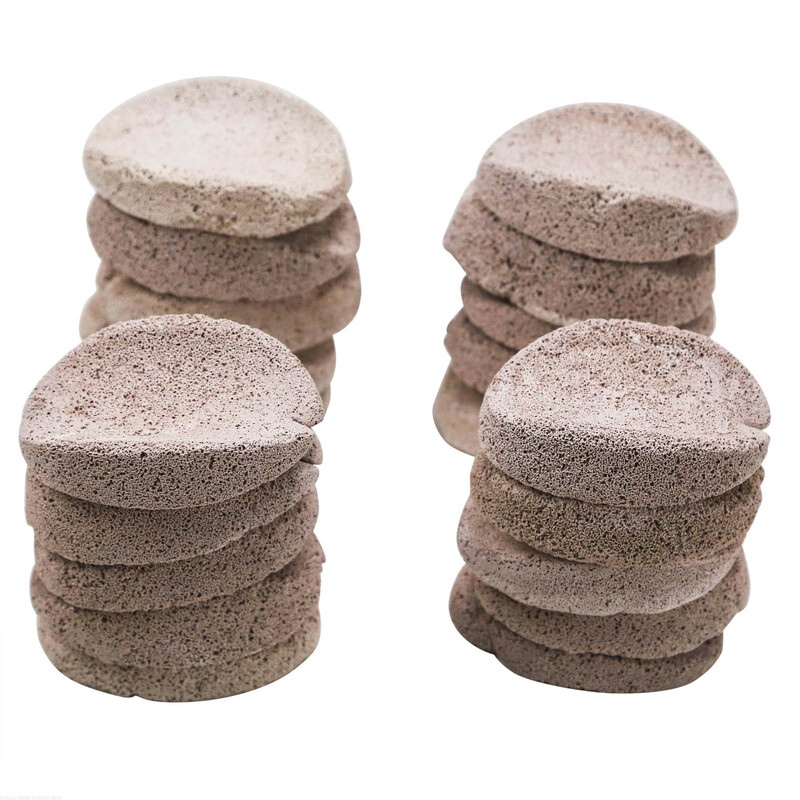 Combines the benefits of vast surface area and intelligent design with a high-purity aragonite component to keep Tridacnid clams and their allies cradled, facing aquarium lighting, and off of the aquarium substrate. Open, porous “foamed aragonite” composition is readily and rapidly adhered to by bivalves. Simplifies placement of zooxanthellate clams, and enables relocation without undue risk of damage to the tender foot or glands that cement the specimen into place. Enables unhindered growth small cultured specimens to reach large proportions in captivity. Average surface area of 500,000 ft2 per cubic foot (~1,900 m2 per L, ~150 ft2 per gram) encourages colonization by beneficial nitrifying bacteria, resulting in rapid and efficient conversion of ammonia into nitrite and nitrate and further enhancing the stability of nutrient concentrations in reef systems. Rapidly encrusted with coralline algae, causing the hammock to blend seamlessly with mature live rock in a matter of weeks under normal reef water and lighting conditions. Researched, designed, and made in the USA of US-sourced, high-quality ingredients. 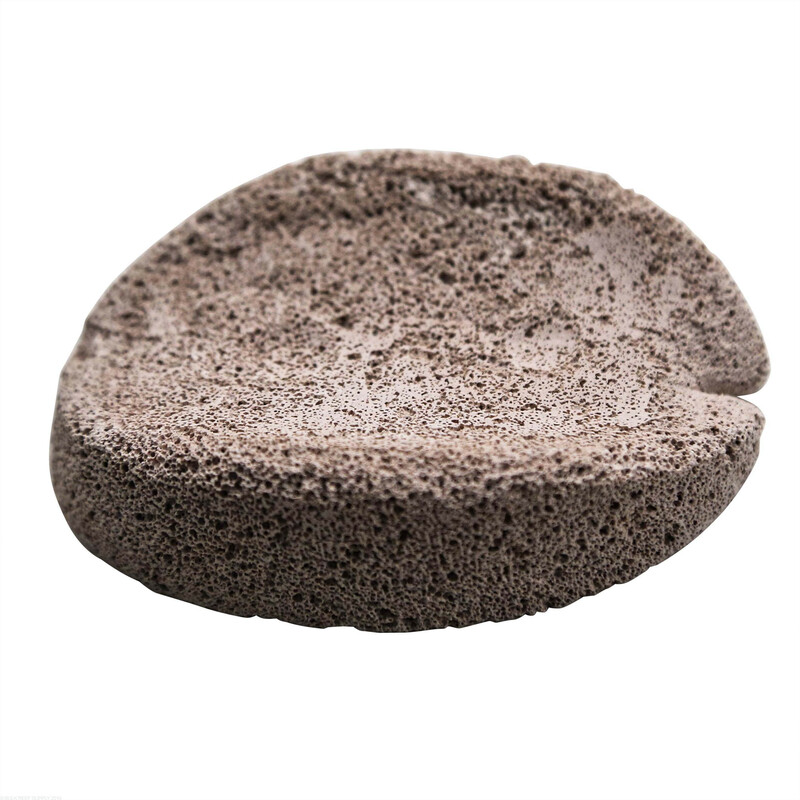 Rinse surface dust off of ClamHammock by immersing it aquarium water and agitating until no more dust appears to fall from the piece; this will seed the piece with beneficial bacterioplankton. 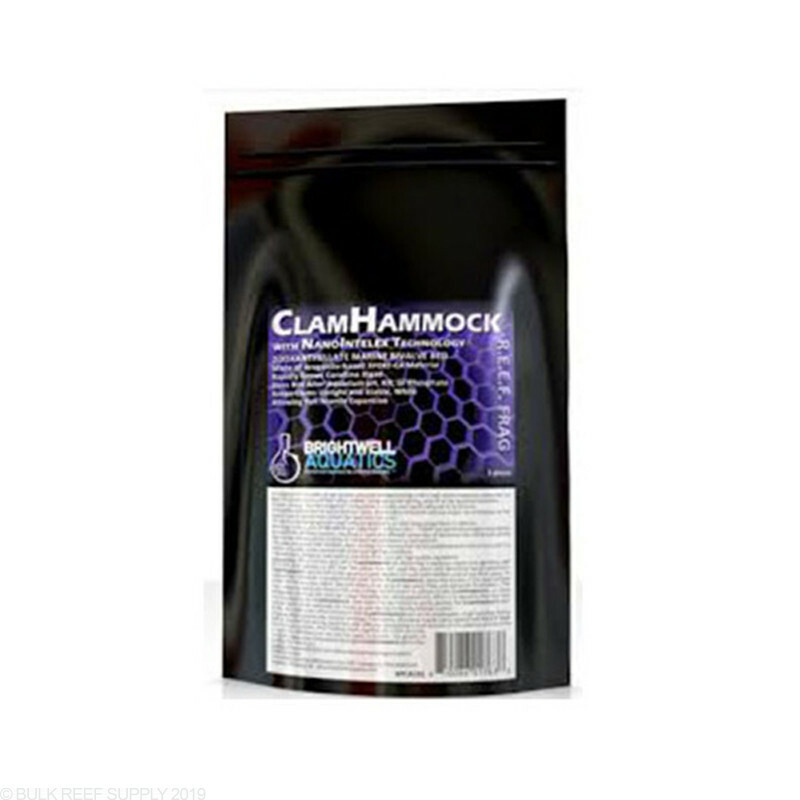 ClamHammock may be left in the aquarium until needed, to seed with nitrifiers and/or coralline algae. To successfully introduce a zooxanthellate clam to the ClamHammock, place the bivalve in the approximate center of the concave radius, flat-side down, in an area of low water flow and adequate illumination. The clam requires adequate time in this low energy environment to adhere to the ClamHammock, so resist temptation to move the clam for 5 days following this initial placement. When it is apparent that the clam has attached to the ClamHammock, then both may be moved by gently picking the ClamHammock (not picking both up by grasping the clam) up and moving it into the desired location. While we make every effort to ensure that ClamHammock(s) will arrive undamaged, rough handling during shipping may occassionally result in breakage. Fortunately, the pieces may be easily repared with R.E.E.F.-Fuze FCA or another fast-drying, aquarium-safe adhesive, by applying a small amount of the adhesive to one of the two mating surfaces, then holding them together for a few seconds, or until the adhesive has set and the repair is durable. The growth of coralline algae over a previously-damaged ClamHammock will further solidify the structure. Combining the benefits and cutting-edge technology of fluorescent cyanoacrylate (which clearly shows the rate of coral tissue growth following propagation when illuminated under actinic light sources) and Xport-Ca, an aragonite-based version of NanoIntelex Xport filtration media (all of which is made in our private factory in the United States), Brightwell Aquatics introduces the R.E.E.F. Frag system. The goal is simple: to improve productivity, use of spatial and monetary resources, and consequently the bottom line of coral and zooxanthallate clam farmers. 100% researched, designed, and made in the USA of US-sourced, high-quality ingredients. The acronym, “R.E.E.F.”, stands for Responsible, Ecologically-Ethical Fragging. As stewards of natural marine habitats through ethical reef aquarium husbandry practices and responsible selection of aquarium inhabitants as their care requirements are met, and hopefully exceeded, by the capabilities of the aquarium that they are being placed into, the fate of many species’ long-term survival on our planet may literally be in the hands of those who understand their needs best: recreational and professional aquarists. Xport-Ca HemiXSpheres, HeXiDiscs, R.E.E.F. Plates, and ClamHammocks combine the benefits of vast surface area and intelligent design with a high-purity aragonite component to maximize the aquarist’s use of available space in coral and clam culture systems, while maximizing the growth rate potential of coralline algae, yielding shorter grow out to market than when using conventional plugs. The hemispherical shape of HemiXSpheres is conducive to growing multiple colonies on the same piece. 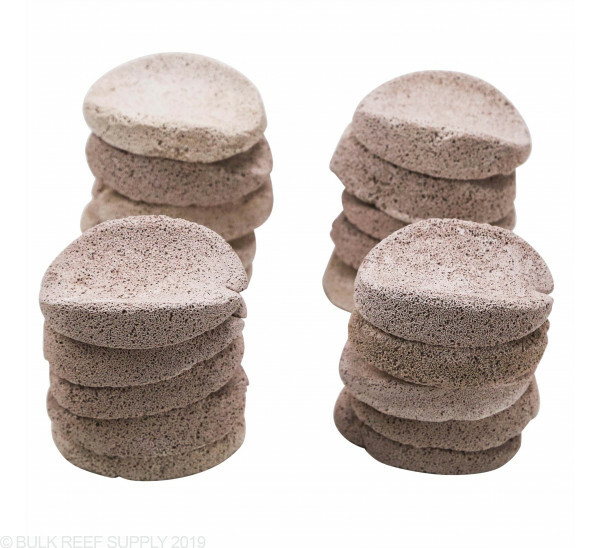 The hexagonal shape of HeXiDiscs permit close placement on flat surfaces to maximize use of available surface area in grow out systems; this is far better utilization of space than is provided by frag plugs or discs with circular or radius shapes to the glued surfaces. The spacious surface area of R.E.E.F. Plates enables them to be used as a large frag-placement platform, as advanced biofiltration material in an external filtration system, or as a covering on the bottom and/or sides of an aquarium to provide a natural appearance in combination with the most surface area per gram of any filtration media on the planet at the time of this writing. 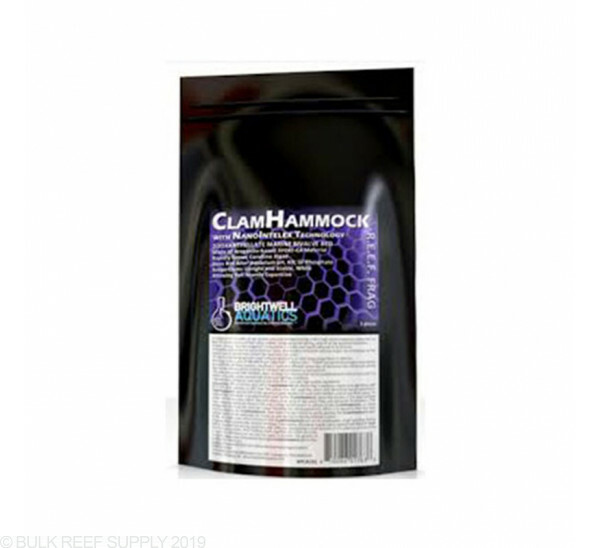 The size and shape of ClamHammocks keeps Tridacnid clams and their allies cradled, facing aquarium lighting, and off of the aquarium substrate; the open, porous “foamed aragonite” composition is readily and rapidly adhered to by bivalves. This item simplifies placement of zooxanthellate clams, and enables relocation without undue risk of damage to the tender foot or glands that cement the specimen into place, and enables unhindered growth of small cultured specimens to reach large proportions in captivity. The average surface area of Xport-Ca material is 500,000 ft2 per cubic foot (~1,900 m2 per L, ~150 ft2 per gram), which encourages colonization by beneficial nitrifying bacteria, resulting in rapid and efficient conversion of ammonia into nitrite and nitrate and further enhancing the stability of nutrient concentrations in grow out systems. Brightwell Aquatics encourages all those maintaining closed-system marine aquaria to do their part by: propagating corals; breeding marine ornamental fishes; and by supporting individuals and businesses who are involved in those pursuits, whenever possible. Maintain pathogen-free reef systems by exercising sound judgment when purchasing or bartering for corals. When in doubt, dip corals in MediCoral. I purchased the 5 pack on 9/8/18, put them into use on 9/15/18 and 40 days later, they are turning into sand. Have seen this with their Bio-Bricks and according to Brightwell, they are not heated up correctly when manufactured. I Just bought a clam and in reading up on them learned that they will want to mount their feet so I bought this in case I rearrange my tank down the road in order to minimize stress to it. When I received my hammock it was broken in 3 pieces. Kind of a disappointment. I managed to glue it back together but it would have been better to get the product intact. I did get the free budget shipping, but maybe BRS can provide a little bit more padding to help protect the product. 5 ***** on this product. I have an Ultra Blue T-Maxima clam that I GOT from Reef-A-Palooza (Orlando) and I was having problems keeping it in one spot! 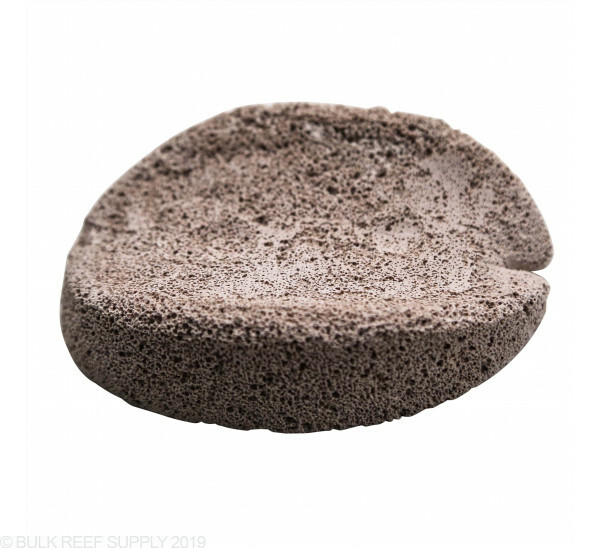 Long story short, HIGHLY recommend this product, especially since they will mount there feet instead of on your substrate. The Hammock is 3.25" long and 2" wide. Feel free to let us know if you have any further questions!